Win FREE workshops from John Robert Powers here! Find out how! Now! Here is another gift from our friends from John Robert Powers! Read the mechanics here and get a chance to win FREE training courses from them. Yes, FREE!!! 1. Answer the question in your blog (or Facebook Note) in less than 500 words. Leave a COMMENT below with the link to your blog entry/answer. and John Robert Powers Facebook Group Page (http://www.facebook.com/home.php#!/groups/165817190101). 3. Add one photo of yourself (optional) or of the person you are referring to (also optional) on the blog (you can include a “before” and “after” photo). 4. Contest duration: July 20, 2011 – August 20, 2011, 12nn. 5. JRP will choose the winners 1-2 weeks after the deadline. It’s that easy! Win any of these prizes just by answering a very simple question! You can use the John Robert Powers website as reference to your article or a friend’s experience or your own experience. Share on your walls too for your friends to find out about this. Yes, it’s time for the nosebleeding to stop. 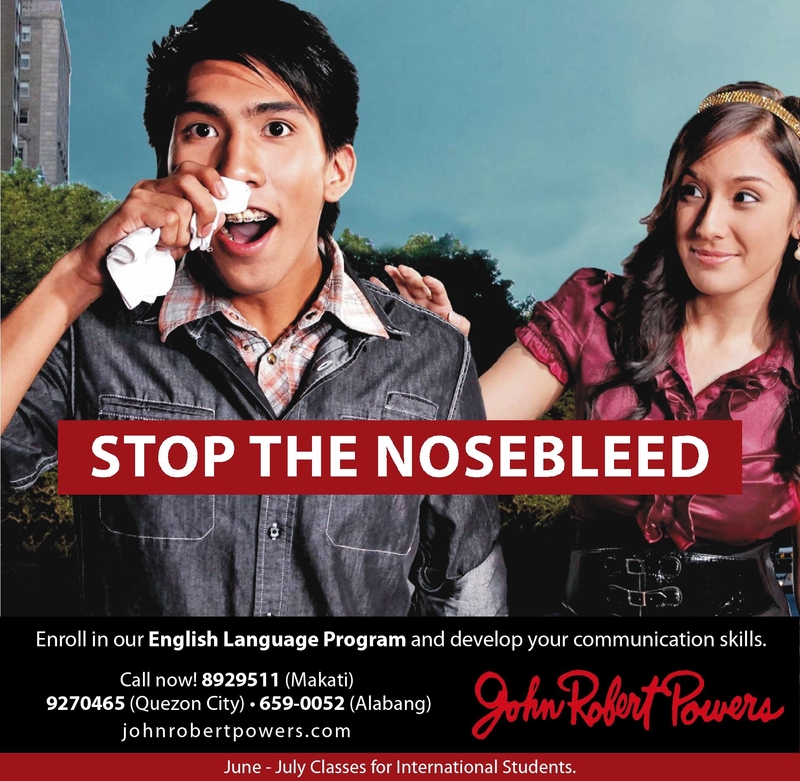 Join this contest now and benefit from the trainings from John Robert Powers! Who wants an overnight stay at One Tagaytay Hotel? Thanks for this, Alyssa:) Good luck! Here’s my entry. I hope to win. Thank you. hi there, here’s the link of my entry/answer. thank you and more power! hi were you able to received my entry. thanks! Is this contest still ongoing? You posted in facebook a few minutes ago inviting people to still join? Oops. Sorry about that. No, this contest ended already. Our apologies for the confusion. Previous story Congratulations to the winner of the One Tagaytay overnight stay!